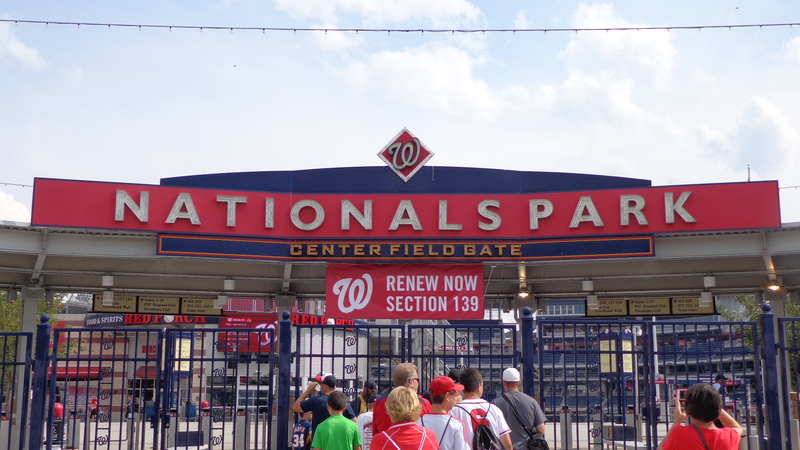 The stories and travels of a baseball fan going through ALL 30 current MLB ballparks. Expect anything. 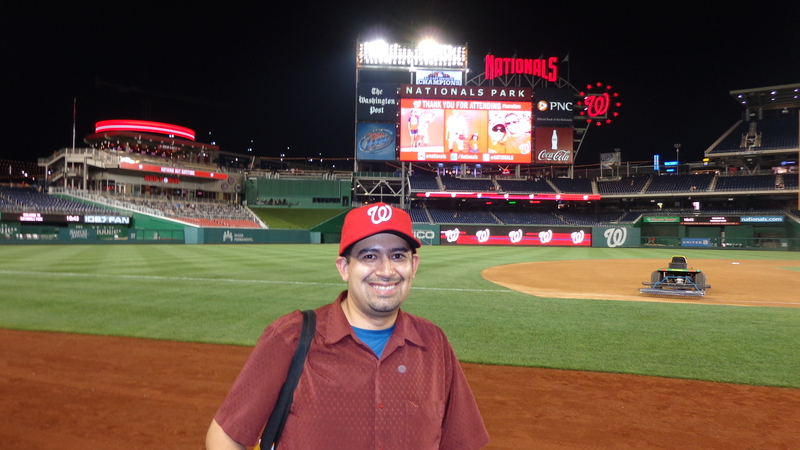 Ballpark 6: Nationals Park, elevation 6 feet…. or 25 feet depending on who you ask. 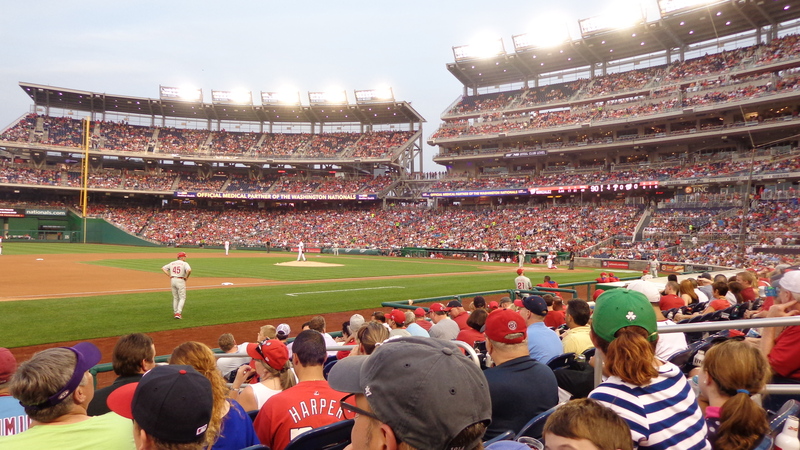 The game: Phillies @ Nationals on July 31, 2014. Making my way to the park meant having to fight through even more traffic and the slums of DC. When I finally made my way down there, I knew I had to arrive early for a plethora of reasons. One of which was the price of parking. However, I could not find any street parking after about a half-hour of looking around. Finally, I settled on parking not too far from the stadium. How much was this parking? Twenty-five dollars?!? This was parking about 5 blocks away near the pier, and was considered a fair price compared to some of the other parking around the stadium. At the Navy Yard, parking ranged from $30-35, and the closest parking to the stadium was $40 and up! I spent less for parking for two games at Camden Yards, and still had money for a hot dog. Of course, I had done some research and was glad to have parking for ONLY $25. Folks, if you’re going to attend a game at Nationals Park, either get a ride there, or carpool and split the cost of parking. Check this out, if you want a better chance at catching a BP ball, go early and wait by the Center Field bleachers gate as they open the earliest. Entering here, you get a chance to check out some of the statues, the huge (but only decently stocked) team store, and some of the booths they have there. After all that, I had a chance to check out the field from the left field seats, and this is a great stadium! The views are good, and the scoreboards are very impressive. Ticket prices: Having done the research, I knew how expensive the face value of those tickets are, so the first place I looked to was StubHub, and I was surprised that there were plenty of tickets all around. After waiting a couple days, I finally found one that I thought was a steal. Somehow, I got a single ticket for the Dugout Box (Section 114) for well below face value at just under thirty bucks. Those tickets have a face value of about $90 each, so I felt very lucky to snag that seat. Plus, it beats most of the other seats in that stadium. Again, this is a ballpark that is built more vertically, so the seats behind home plate in the upper deck are much higher than most stadiums. Plus, getting to those top seats can be a bit of a hassle in this park. Because of the great view I had from the dugout box, I thought they were more than worth it. The fans: A crowd of 35,722 came out… and a good amount of them were Phillies phans. Don’t get me wrong, there were plenty of “Natinals” fans there supporting their home team, but they aren’t as loud as some other places. I joked that most of them are there to be seen, or work in the business district just adjacent to the park. With those high ticket prices, you would be more likely to see fans in the upper class of the Washington, D.C. Metro area. All kidding aside, they cheered when their team scored, and groaned when their Nats either failed to score a run in a key situation, or gave up multiple runs. In other words, your standard crowd. 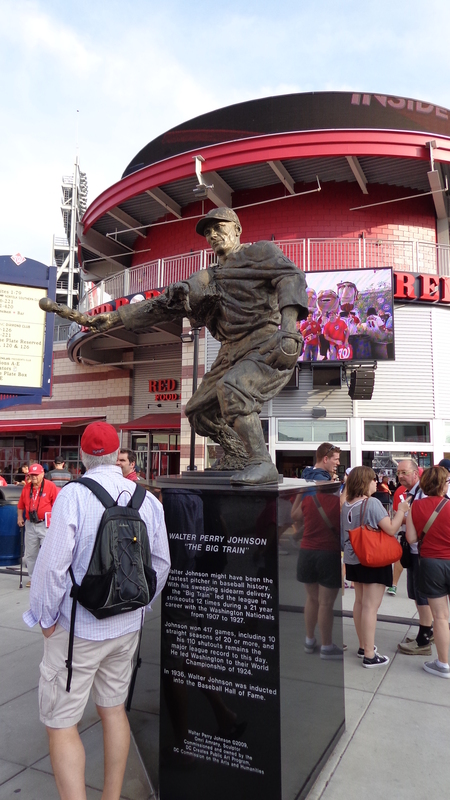 However, I happened to sit next to some very friendly Phillies fans, one of whom (I hope) reads this blog, and wants to do this same trip when he gets older. Maybe at the season’s end, I’ll give a post on how to go about planning something like this. 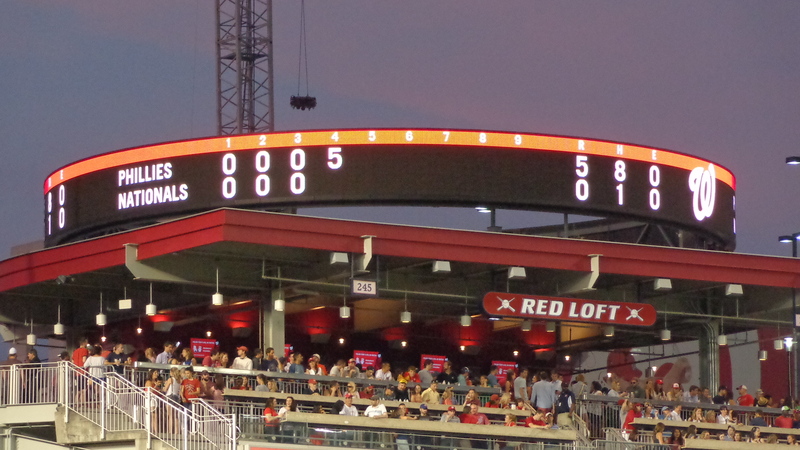 The game: The first two innings went very quickly as Cliff Lee and Gio Gonzalez got off to hot starts. However, in the bottom of the third inning, everything came to a halt. After striking out Gio Gonzalez, Cliff Lee was looking fantastic. 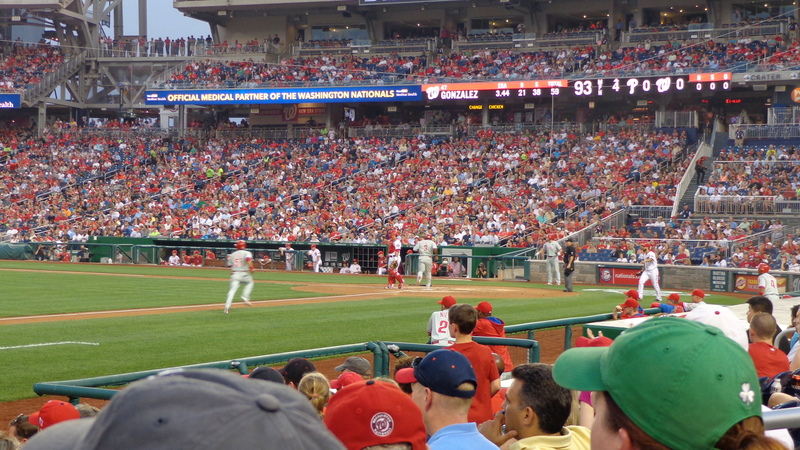 Then, on the first pitch of the next at-bat (Lee’s 31st pitch of the evening) against Denard Span…. something happened. 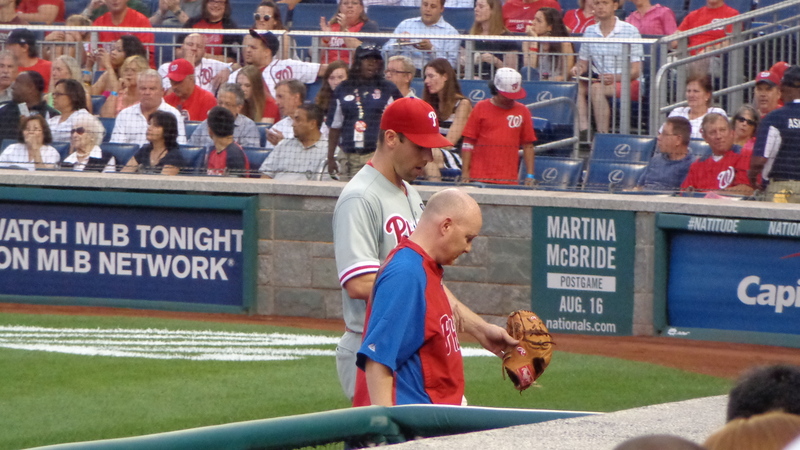 Right away, Cliff Lee motioned towards the dugout and knew something was wrong and had to leave the game. As he was walking towards the dugout, he was holding his left arm and left many Phillies fans to say, “Oh no… not again.” As it now turns out, Lee is done for the season, but will not require surgery on his elbow. It was a horrible end to his short season, and it’s a shame. Then the Phillies’ bats came alive as they put up a 5-spot in the fourth inning, and batted around. That pretty much took the crowd out of the game. 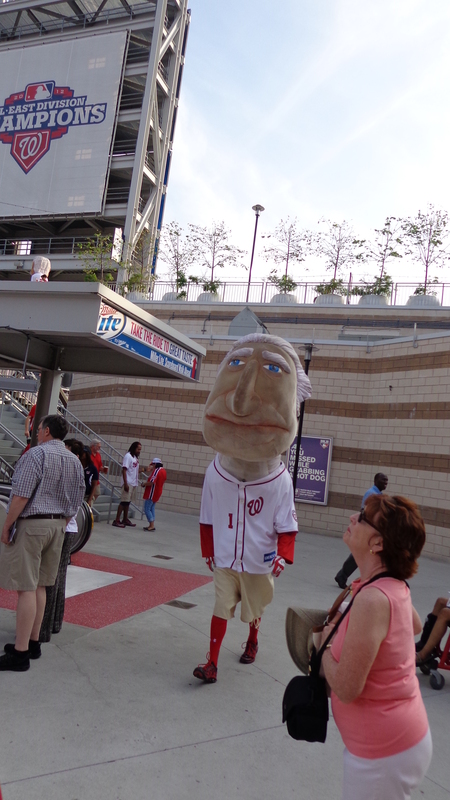 However, the crowd perked up again as the Nationals had their Presidents Race! This is similar to the sausage race in Milwaukee, or the legends race in Arizona. On this particular game, Honest Abe Lincoln was the winner. Score one for the 16th President of the United States! After that, the Phillies scored two more runs in the sixth, and it was practically over. Philadelphia won 10-4 over the Washington Nationals, but the big story was Cliff Lee’s injury. After the game, I was able to talk to the awesome fans next to me and get a few pictures from the field railing. The staff there was courteous and helpful, and asked about my experience there. I told them about my trip, and a couple ushers came down and were interested in my story. I did express that the parking was quite expensive, but that I enjoyed my time there. To be honest, Nationals Park is a good place to watch a game. There are plenty of things to do at the park, and the food selection varies greatly. The one major minus that comes with this park is the high prices. The parking and tickets come at a high cost, and even the food was a bit high for my taste. I also have to give a small minus to the lack of selection at the stores. By the way, I found one of the hats I was looking for online… at a decent price! With my birthday coming up in a few weeks, that would be a nice gift! I’ll just put the link down here in case I have a very generous reader! The big plus comes in the form of the Presidents race, and the kindness of the staff. They rank among the best in baseball and know the ins and outs of that stadium. Overall, I would come back to this place, but I’d have to find street parking, or bring more than just myself. Also, I would probably eat somewhere else before the game or bring some snacks. Again, I do recommend coming here… just bring some extra cash with you! Believe it or not, my next stop is back to Baltimore for another game. Yep, we’re going back to Camden Yards for another game! I’m jealous. 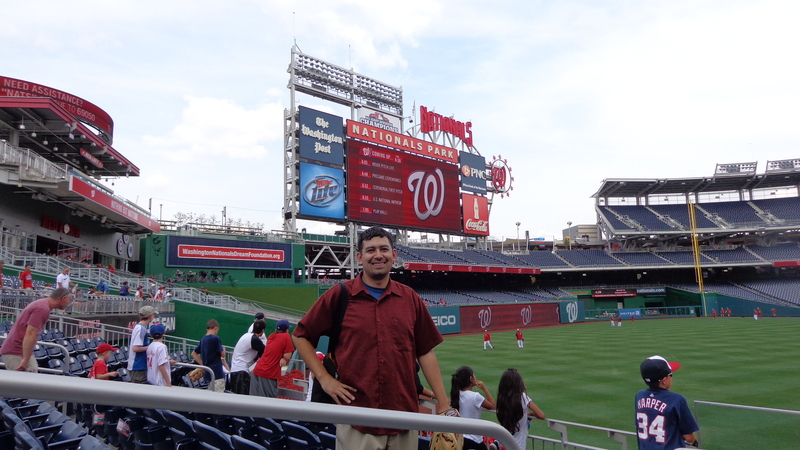 Driven by the Nats park twice during work trips, but the team wasn’t in town. I want to see the Presidents fight it out running the chalk lines and outfield warning track. That park is definitely on my “To Do” list, possibly in 2015. Thanks for the post and look forward to more awesome trips.